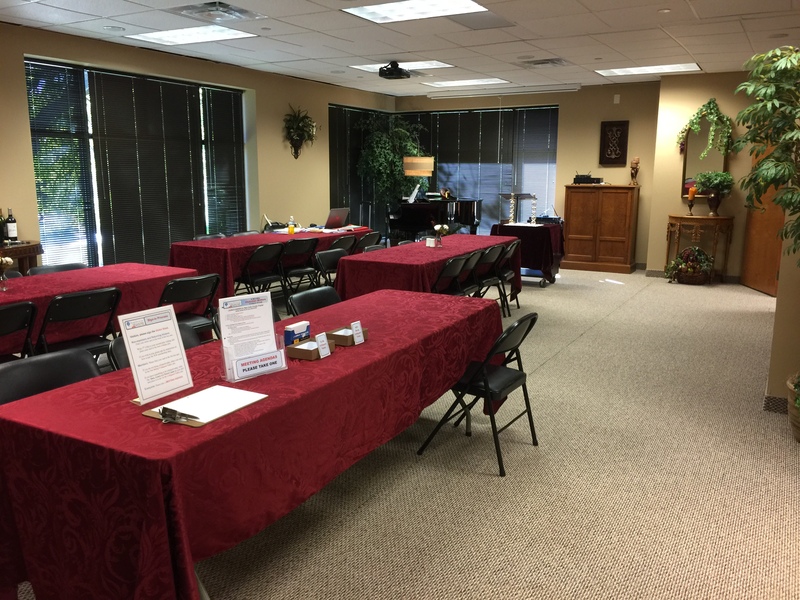 The mission of Word Weavers International, Inc. is to help Christian writers improve their craft by critiquing each other’s work in an encouraging and professional environment. 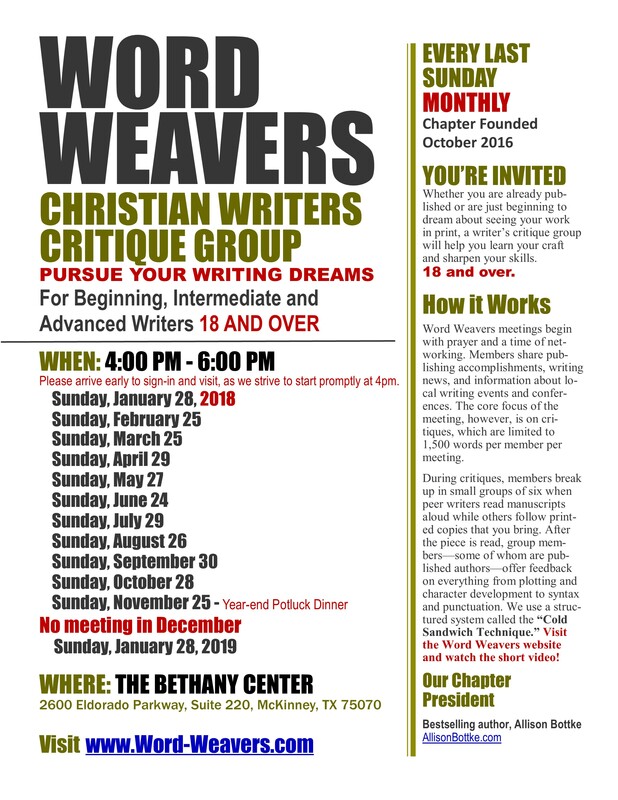 Word Weavers is a growing organization with both traditional chapters and online “pages.” With more than 600 members in 43 chapters across the USA and Canada, the Collin County Chapter of Word Weavers was launched in October of 2016 and is meeting in McKinney the last Sunday of every month. Bestselling author Allison Bottke is the President of the new Collin County Chapter. Visit once for FREE, and if you choose to join us, Annual Dues are only $45 year! Scroll down for information and dates. Or click on the link to open and print this as a PDF.